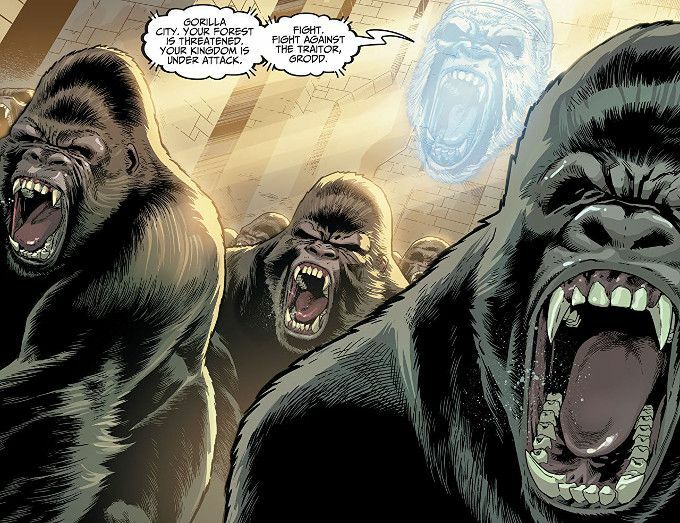 Civil War has broken out in Gorilla City, as Grodd leads a rebellion against King Solovar. 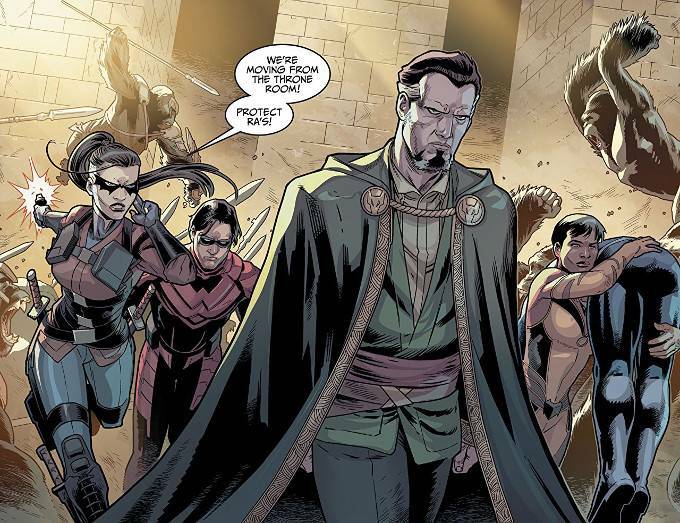 Now, to prevent the destruction of what little he has saved since losing his base in The Amazon Jungle, Ra's Al Ghul must lead his Suicide Squad to aid in the battle. Will Ra's new secret weapon tip the balance of power? 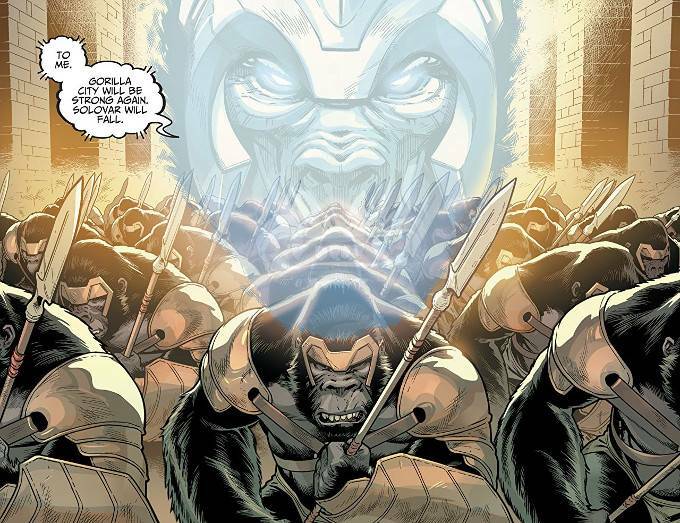 Is there anything that speaks more to the power of comics than armies of great apes fighting? I think not. Yet even set apart from that standard Injustice 2 #43 is a darn fine comic. Tom Taylor's script has everything. Action. Romance. Horror. Comedy. Often all on the same page! Gloriously brought to life by the pencils of Bruno Redondo, the insanity and glory of this story is perfectly completed by the inks of Juan Albarran and the colors of Rex Lokus. If you aren't already reading this series, start. If you are already reading this series, good for you!